Secret Santa success as Sanctuary Synthetics successfully install a new safety surface for senior citizens. 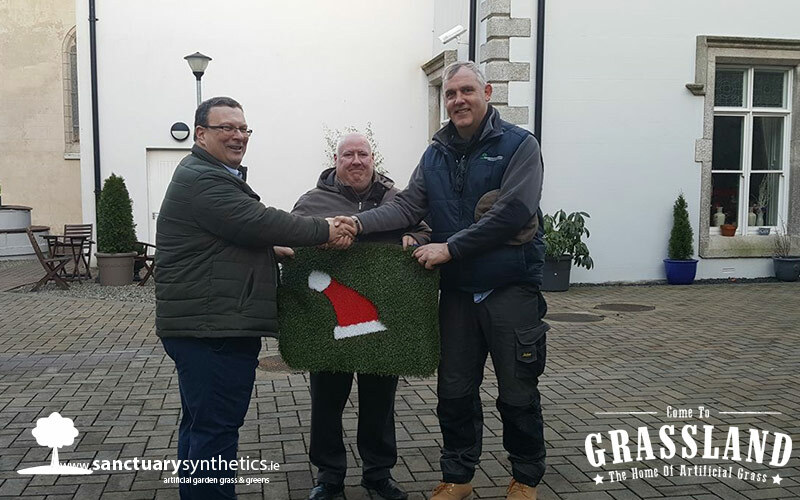 Residents and staff of McCauley Place, the innovative Naas independent living centre, were delighted to accept an offer by Sanctuarysynthetics.ie to transform part of their dull grey courtyard area beside the apartments into a safe and alternative artificial lawn. 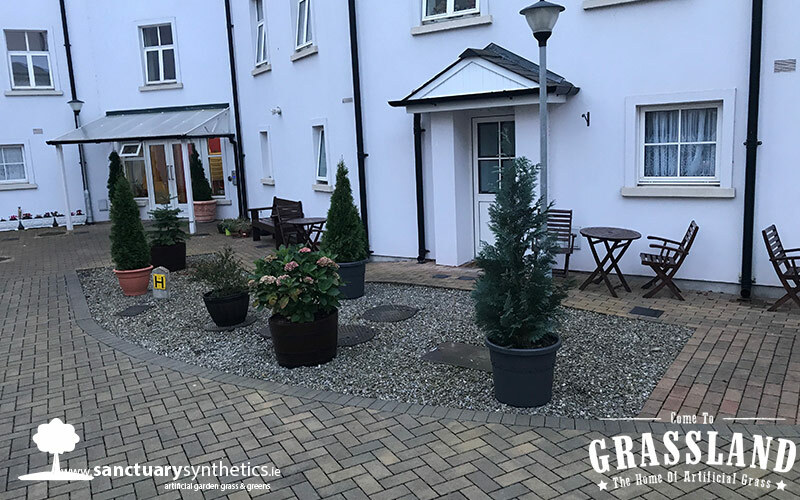 Mark Hazzard, General Manager of McCauley Place said, “We’ve long wanted to do something to enhance this area, immediately outside some of the ground floor apartments and were delighted when Mark O’Loughlin MD at Sanctuary Synthetics approached us”. McAuley Place housing development, which opened in Spring 2011, consists of 53 self-contained apartments in the centre of Naas town, on the grounds of the former Convent of Mercy. It is a managed service providing centrally located housing for older people who are capable of independent living. McAuley Place’s mission is to provide independent living for elderly people in the heart of a vibrant community.The vibrant community within McAuley Place consists of Convent Tea Rooms, the “Arts and Culture Centre” located in the old nuns chapel. The Community Centre hosts many activities from Kindermusic to Active Retirement and everything in between. There are meeting rooms, a music room, counselling rooms and a Board room. 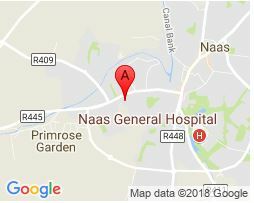 McAuley Place also run the Renaissance Charity Store located in the Naas Town Centre. The final phase of the development, a Health Through Learning Centre will commence soon which will be housed in the renovated original nun’s convent with a one acre woodland garden located at the back of the building. 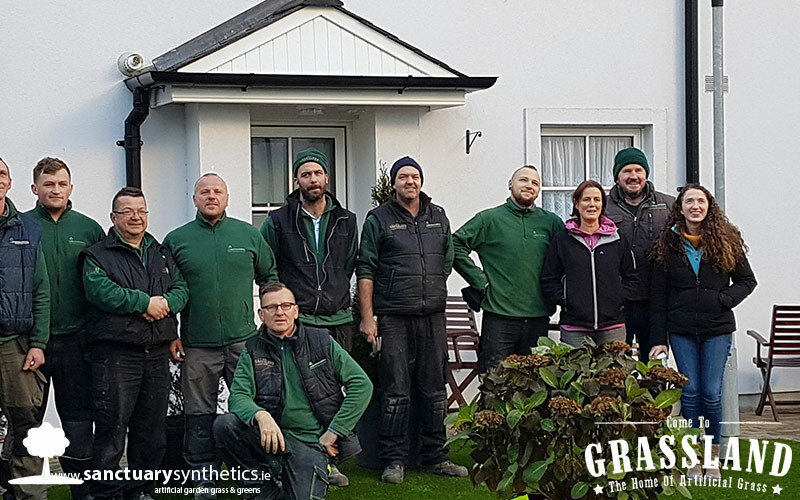 Mark O’Loughlin and Sanctuary Synthetics have run a garden design and creation business for over 20 years but over the last decade or so Mark and his team have become the go-to people in the business for synthetic grass in Ireland. 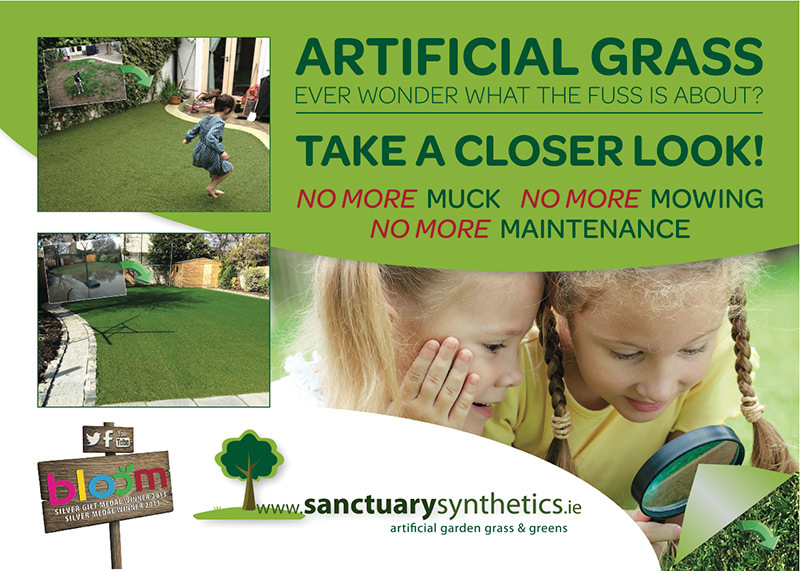 Transforming gardens, schools and creches with artificial grass since 1998, they have over 4,000 customers now benefitting from beautiful grass lawns. Extremely versatile, artificial grass is durable, guaranteed long life, non slip, pet friendly and most importantly look amazing. As well as lawns, artificial grass is also used for dog runs, over slippy decks, old patios, rooftops and balconies, home putting greens, retail and commercial space, special needs gardens, graves, memorials and much much more.